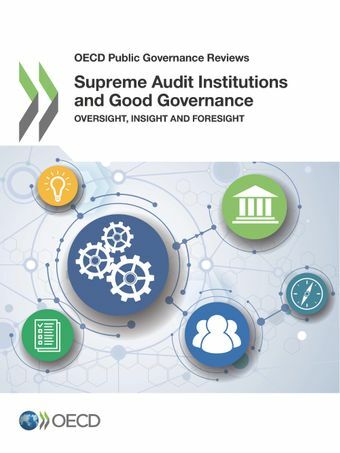 This report maps the activities of ten leading Supreme Audit Institutions (SAIs) in Brazil, Canada, Chile, France, Korea, the Netherlands, Poland, Portugal, South Africa and the United States. In particular, it looks at how these SAIs assess key stages of the policy cycle as well as resulting policies and programmes. SAIs have untapped potential to go beyond their traditional oversight role and contribute evidence for more informed policy-making. The report provides examples and case studies of SAIs’ activities that consider and support the integration of international good practices into policy and programme formulation, implementation and evaluation. It provides guidance for SAIs seeking to engage in oversight, insight and foresight, taking into account the SAI’s internal strategy as well as policy challenges and actors in the external environment. 03/11/2015 - "One way to help restore citizens’ confidence in public institutions is to ensure that scarce resources are used in ways that maximize value for money and deliver results. To fulfil this role effectively, they also need reliable evidence on what policy instruments and programmes work, and which do not. [...] gone are the days where SAIs concentrate solely on their oversight function. As the subtitle of our joint publication suggest: insight and foresight are also proving useful. The trend, to which TCU is also contributing, is clearly towards a role for SAIs that focuses on broader good governance aims than traditional auditing." - said OECD Secretary-General Angel Gurria, speaking at the 2nd International Seminar on Governance and Development: Good Practices and the role of External Control, in Brazil. The majority of peer SAIs are assessing every stage of the policy cycle, from policy formulation to implementation and evaluation. SAIs can provide a unique, horizontal view on government, policies and programmes. There remains an untapped potential for audit work to feed into the policy cycle and to strengthen evidence for decision-making. Lire un extrait du rapport en français (résumé, avant-propose et premier chapitre).